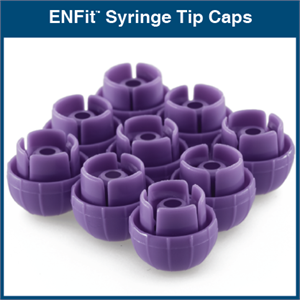 Reducing misconnections with medical device tubing is vital to improving patient safety. 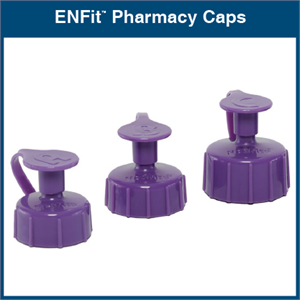 Our NeoMed® line of ENFit Compliant and Compatible NeoConnectTM Products are designed to meet new international standards and help you enact the safety recommendations issued by several governing bodies. 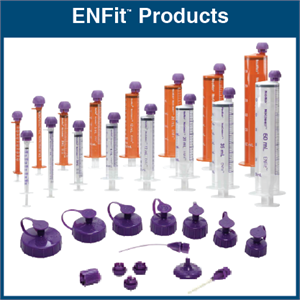 NeoMed’s Pharmacy ENFit Syringes are available in sizes 0.5 mL to 60 mL, including clear dispensers with purple gradient markings and amber dispensers with white gradient markings. 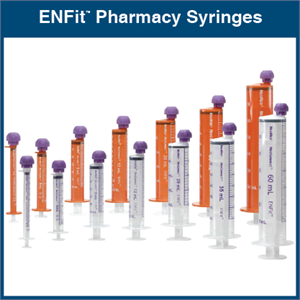 NeoMed Pharmacy ENFit Syringes only display the metric scale. 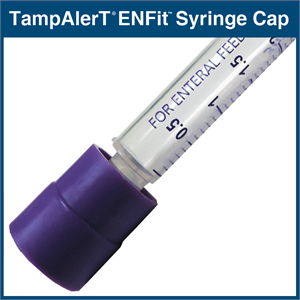 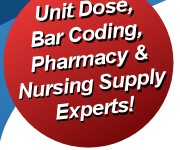 When attached to an ENFit pharmacy syringe, the DoseMate is designed to properly account for volume displacement providing accurate direct oral administration of medication. 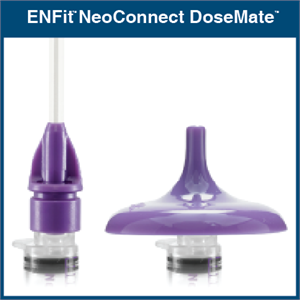 Promotes dosing accuracy by displacing the same volume as the ENFit male connector. 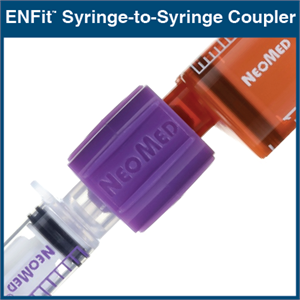 Connects two NeoConnect syringes for transfer or mixing.